Sarah Rennie, founder of Advextra VA - a virtual assistant (PA) service - will be joining us on Twitter for #MIVReveals on Wednesday 1st November 2017 at 4pm. After taking voluntary redundancy from her Civil Service job of over 17 years, Sarah decided to set up a Virtual Assistant (PA) service in early 2016. Sarah has experience of providing PA support to a Regional Chair and Office Secretary support to a small Team and Committee, which had included planning and running events. 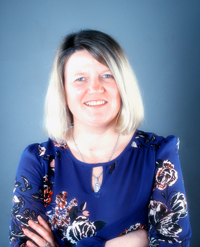 She has recently completed the Pearson BTEC and Edexcel NVQ Level 4 Diplomas in Business Administration and also has completed the LCCIEB Executive Secretary’s Diploma and the RSA Diploma in Administrative and Secretarial Procedures. Sarah's motivation for launching Advextra VA Ltd was to use her skills and experience to help not just one boss! If you want to hear more about Advextra VA, then tune into our Twitter interview on Wednesday 1st November at 4pm, following the hashtag #MIVReveals.